It's been a while since a baking post, it's been a while since I've baked actually. Today's treat is for those who have a very sweet tooth and don't mind being covered in marshmallow and goo. Being British, s'mores aren't really a thing here but I suddenly had a brainwave. S'mores brownies! These are the perfect indulgence for a cold Winter night. Warm them up and accompany them with a few scoops of ice cream and I guarantee you'll be in heaven. Method - The Crust 1. Preheat the oven to 180 C/350 F and grease or line your brownie tin. 2. Crush the biscuits and mix in with the melted butter, brown sugar and cinnamon in a large bowl until they're well combined. 3. Spread the mixture onto the base of your brownie tin before placing in the fridge for 5-10 minutes. 4. Place onto the middle oven tray and bake for 7 minutes. Whilst doing the brownie mixture you should allow the crust to cool. The last couple of steps I decided to wing it, hence why the instructions aren't that accurate. It's a case of keeping an eye on the marshmallows and praying they don't burn. As for the overall recipe, feel free to adjust the amount of ingredients to suit your brownie tin. It's all trial and error when it comes to baking! Do you like the look of these? If you have any recent baking posts, leave them below. I'd love to see! 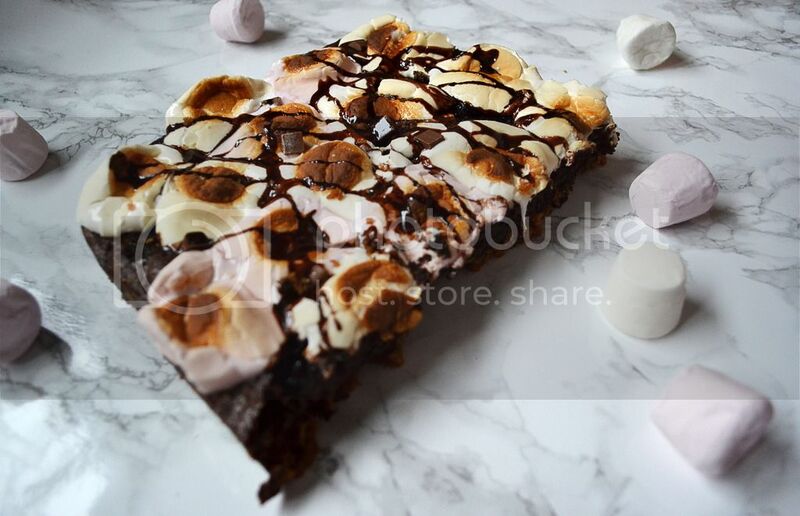 i love smores and i love brownies so these are right up my street! 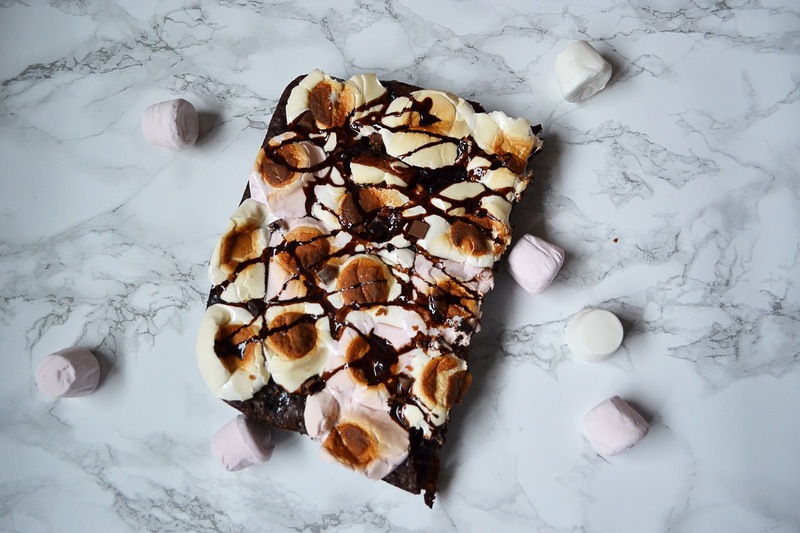 I've never tried s'mores but these brownies are like the next best thing! Oh my goodness! I NEED to try these!!! Wow this recipe looks amazing!! Thanks for sharing! That definitely is fate. I hope you like them if you make them! Ohhh my these look so good! I love me some brownies and combining with smores sounds just heavenly! 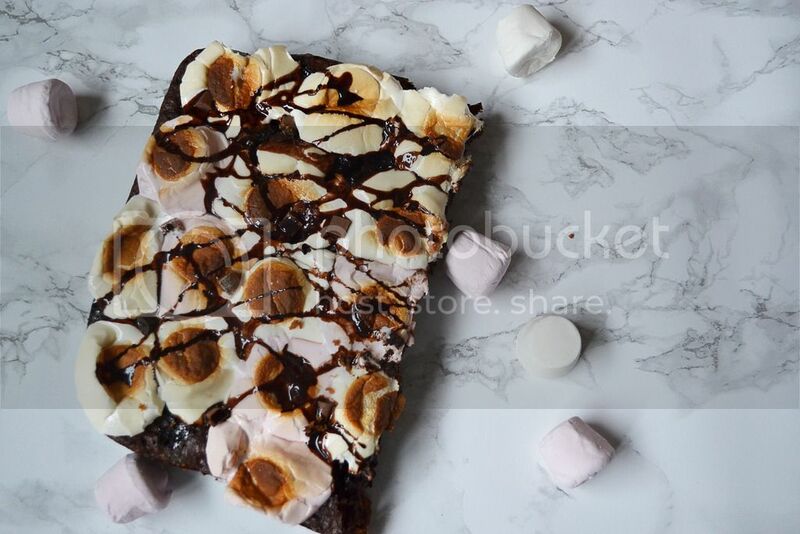 Brownies and marshmallow, is there a better combo? 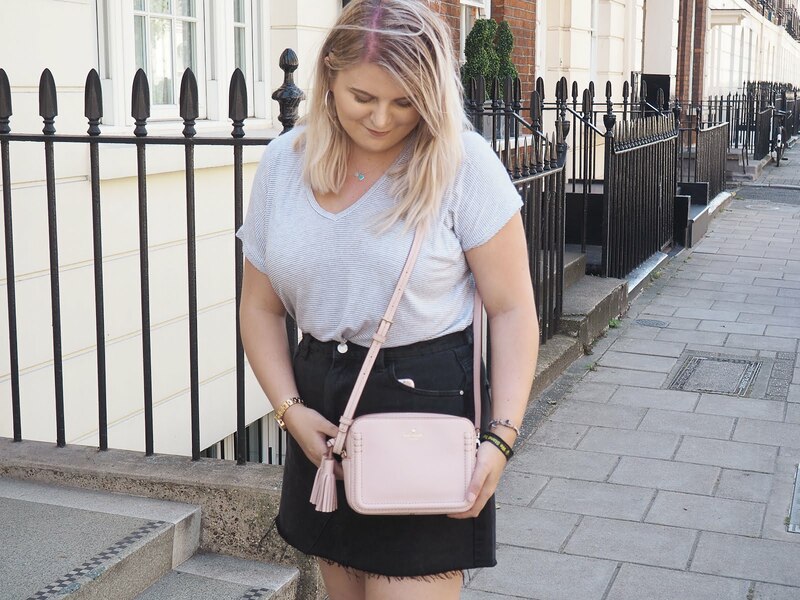 Girl, firstly, I think these may be some of your best blog photos ever - they're getting better and better every post! Secondly, we need to have a bake off. Thirdly, I love your new header billions it's so "chapters of kat", it's perfect! Omg thank you!! One of my aims for 2016 was to up my photography game so I guess it's paying off haha. A bake off sounds good to me although I guarantee you'd win! MY DIET IN RUINED and its all your fault thanks haha, they look bloody amazing!!! I shouldn't have made them when I was hungry, I ended up eating quite a lot of the brownie mix haha! Omg that sounds delicious, I hope they were good! Oh God these look amazing! mmm. These look yummy. I love S'mores! omg they look so good! I need this in my life. Like seriously. WOW! Actually dribbling, this looks soooo good!